Forecasts were wrong; Barrington was spared again. Did anyone see any snow at all? The National Weather Service has upgraded the “Hazardous Weather Outlook” for the region to a “Winter Weather Advisory” and expects 2 to 4 inches of snow in Barrington, across Camden County and beyond. The advisory is in effect from 4 p.m. Wednesday through 6 a.m. Thursday, although mixed precipitation is expected before that time. Winds are expected to be northerly with a speed of 20 to 30 mph with gusts up to 45 mph. Temperatures should remain above freezing. The Weather Service also has issued a coastal flood warning for much of the Shore area, along with high wind warning for some regions. Much of Maryland, Virginia, Washington, D.C., and southern Pennsylvania are under a Winter Storm Warning, calling for accumulations of up to a foot of snow. 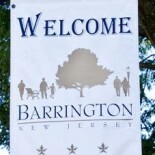 This entry was posted on March 6, 2013 by Barrington Bulletin in Region, Safety and tagged snow, weather, winter.